Love Star Wars? Love playing piano? Well, it's your lucky day! 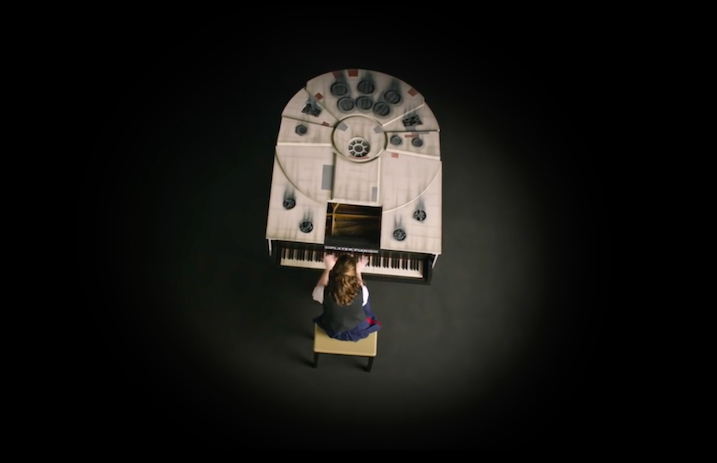 If you remember the viral “Star Wars Ultimate Medley” Youtube video from 2015 you'll also remember there were two amazing customized pianos in the vid that looked like the Millennium Falcon and R2-D2. Player Piano, the company who created the pianos, has put up the Millennium Falcon piano on Ebay. The only caveat? The starting bid for the one-of-a-kind piano is $7,5000 and is, of course, local pickup only in the Los Angeles area. Check it out here. But if you have a spare seven grand or so lying around it could be yours! Check out the original video below to see it in action.